The Auburndale Police Department has an authorized strength of 35 police officers and 8 civilian support members. Our agency handles an average of 20,000 calls for police service each year. In order to maintain the highest level of efficiency, we incorporate state of the art equipment with on-going innovative in-service training programs.  If you feel you are a candidate who can support our Mission, Purpose, Core Values and Beliefs, a law enforcement career with the Auburndale Police Department offers a challenging and exciting opportunity. We offer a full-service, professional Law Enforcement Agency and the experience of highly active community-oriented policing in a dynamic community setting. This combination has created an environment for the men and women of the Auburndale Police Department to fully develop their individual potential as they grow toward meeting their personal and professional career goals. Candidates for employment are chosen from a competitive field of applicants based on apparent abilities, panel interviews, assessments and a rigorous background investigation. High school graduate from an accredited high school or have a GED. Applications may be submitted electronically. To do so, fully complete the application. Scan the application and all required/requested documents into a single .pdf file. Upload the .pdf file using the form below. If you have any questions, you may use the comments/question box. Please leave your contact information so we can confirm receipt of your application and answer questions you may have.